My name is Doug Seubert and I live in Wisconsin (USA). I am working toward a Masters in public health, with the goal to continue on to obtain a PhD in health sciences. I’ve worked in health care for 6 years, but since 2010 I have focused on a new area of my career as an independent consultant in health literacy and health communications. My blogs share resources, tools, and information about various public health topics, with a strong emphasis on community health education, effective health communication, and health literacy. I am also the creator of “The End of Life Survival Guide” featuring tips and resources for caregivers of a loved one near the end of life. 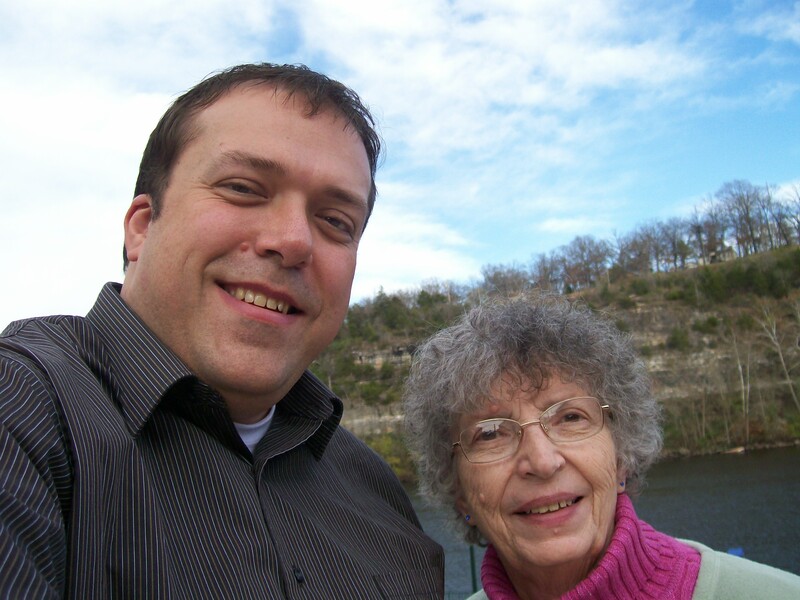 This is Mom and me in Branson, MO in November 2008, about a year after she was diagnosed with Alzheimer’s disease. The trip was her birthday present that year.